Looking for an activity for a CHRISTMAS? Do you want some fresh décor to spruce up your bulletin board? 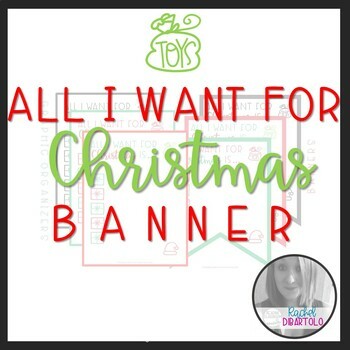 Then this All I Want for CHRISTMAS BANNER is perfect for you! I have created colored versions -OR- black & white to be decorated by students -OR- printed on colored paper. I LOVE this product, and I hope you do too!